ProSoft Technology provides technical pre-sale and support assistance at no charge because our customer’s success is MOST important. Our team members listen and work with you to make sure the best solution is recommended, implemented and operational long after the sale. Whether you are considering an enhancement to current architecture, need support and troubleshooting assistance with an installation or have an urgent equipment down situation, our technical support team is here to assist. ProSoft support is available worldwide and is committed to helping to make your project a success. If it’s important to you, it’s important to us. Give us a call, we’re here for you! 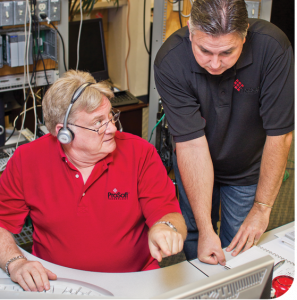 Click here to find out how to contact a ProSoft Technical Support team member in your area.